There is a very strong argument for the spiritual home of beer and brewing to be in the United Kingdom. 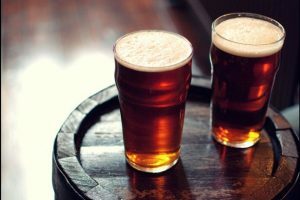 There are some excellent beverages, and if you are considering a trip abroad, you might want to weigh up the advantages of enjoying a British tour. London has some excellent breweries and brewpubs to visit. Coupled with hearty grub and warm fireplaces, you could not really ask for more in the capital city of England. This delightful spot in the heart of Queen’s Yard offers all manner of ales, lagers and delicious man-food. Guides will take you around and explain how the beer is made. This is a brewery that specialises in informing visitors how beer is made, how to sample different types of beer, and what foods to pair them with. The 45 minute tour includes three tastings and after it is over, you can relax in the taproom and sample more beers. This cleverly named spot is in Greenwich offers a full tour of the beer making process, and a short history lesson about beer. You can sample various beers including the flagship, London Pale Ale. This brewery in the heart of the Yorkshire Dales was set up in 1992. It is found in the village of Masham, and is home to the legendary Theakston Ale, named after the founder. You can take a comprehensive tour of the brewery and sample cask ales and experimental brews, and you can buy some bottles to take home with you. This brewery makes it to the list for the sheer science involved in the brewing of beer. The owner holds a degree in brewing and distilling, and has applied his knowledge to the real thing. Tours are available, and you can sample the beers and buy some to take home. We couldn’t leave Wales off the list. This brewery produces red ale, golden ale, and hopped pale ale.